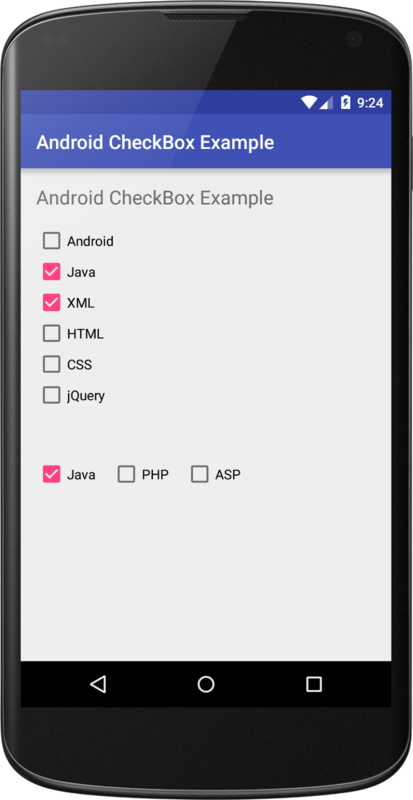 In this tutorial, I am going to show how to use android CheckBox in android application. CheckBox is a two state button that user can select or unselect. Users can check one or more option from a set. Following is the simple steps to show and control CheckBox. Following is the xml layout file with many CheckBox and added onClick attribute in all CheckBox. In java activity file we control the CheckBox select and the code looks like this. Now, run your application which looks like below.